Frederick Anthony Jackson was born on 2 October 1956, in Harlem, New York City USA, and is a soul singer and songwriter, probably most famous for his hits “Rock Me Tonight (For Old Times Sake)”, “Have You Ever Loved Somebody”, “Jam Tonight”, “You Are My Lady” and “Do Me Again”. 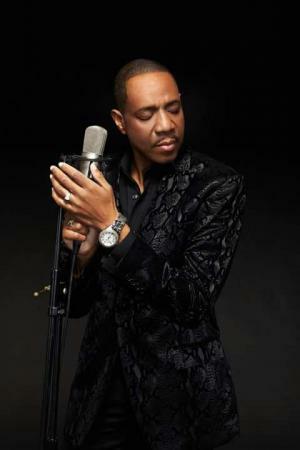 A famous singer, how rich is Freddie Jackson? Sources state that Jackson has earned a net worth of over $3 million, as of mid-2016. His wealth has been accumulated during his music career now spanning almost 40 years. Jackson grew up in Harlem and was raised by a single mother, along with his five siblings. During his childhood years he trained in gospel singing at the White Rock Baptist church. Here he met the Paul Laurence, singer/songwriter and producer who would later write Jackson’s songs as well as produce his records. Upon matriculating, he joined Laurence’s group called LJE, playing at local night clubs. In the early 80s, Jackson moved to California to become the lead singer of the R&B band called Mystic Merlin. In 1984 he came back to New York and began working at the Hush Productions company with Laurence, singing on demo recordings of Laurence’s compositions. He also sang as a backing vocalist for Melba Moore – in a New York club owned by Moore – and for Evelyn ‘Champagne’ King and others. The same year Jackson signed with Capitol Records as a solo artist, releasing his album “Rock Me Tonight” in 1985. The album was highly successful, with the title track “Rock Me Tonight (For Old Times Sake)”, which Jackson had co-written with Laurence, becoming an instant hit among worldwide audiences. Other notable tracks were “You Are My Lady”, “He’ll Never Love You (Like I Do)” and “Love Is Just A Touch Away”. The album later went platinum, and dominated the R&B charts while greatly contributing to Jackson’s net worth. In 1989 Jackson appeared in an episode of the NBC television series “The Golden Girls” as a lounge singer performing the Disney classic “It’s a Small World”. Jackson’s next several albums weren’t successful as his previous ones, being criticized for their lack of distinctiveness. However, they did contain several hits, such as “Do Me Again” and “Love Me Down” from his 1990 album “Do Me Again”, and “Me and Mrs. Jones” from his 1992 album “Time for Love”, the latter featuring guest artists such as Audrey Wheeler, Will Downing and Najee. His net worth was still growing. In 1993 Jackson ended his contract with Capitol Records and signed with RCA/BMG Records, releasing his album “Here It Is” in the following year. He then released the album “Private Party” for Scotti Brothers Records in 1995, containing the popular single “Rub Up Against You”. Jackson later signed with Orpheus, releasing his next album called “Life After 30” in 1999 and “Live in Concert” in 2000. The year 2004 saw the release of “It’s Your Move” which put the singer’s name back to the chart lists, adding to his net worth. His next three albums were the 2005 “Personal Reflections”, the 2006 “Transitions” and the 2010 “For You”. Jackson’s most recent single was the 2014 “Love & Satisfaction” for Climax Entertainment. As a songwriter, Jackson produced of a number of hits, co-written with Laurence. These include “Trust Me” for Lilo Thomas, “Keepin’ My Lover Satisfied” for Melba Moore and “Jam Song” for Howard Johnson. Jackson was one of the most influential figures in R&B music during the late 80s and he earned several nominations for his involvement in the genre. In 1988 he received American Music Award: Favorite Soul / Rhythm & Blues Single for his song “Nice ‘N’ Slow”. Speaking about his personal life, there is no information known to public – he keeps his private life to himself – whether he has been married or not, although sources believe he is single at present.